A report last week suggested that to ward off brain diseases such as Alzheimer’s, constant cerebral stimulation through activities like games and reading could be the key. 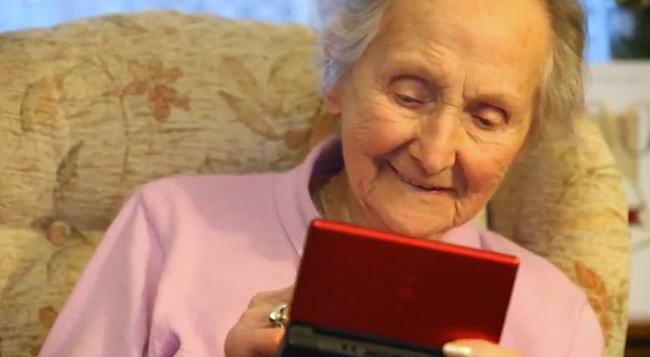 And one woman, 100-year-old Kathleen Connell, would certainly appear to back up such findings, with the centenarian putting her longevity and sharp mind almost entirely down to her Nintendo DS gaming device. Kathleen, who lives in East Renfrewshire in Scotland, said that the machine helps her memory stay in good shape, as she used to have trouble remembering things. One thing she’s particularly proud of is the mental age she scored with the popular Brain Trainer game—just 64—pretty impressive for someone now in triple figures. 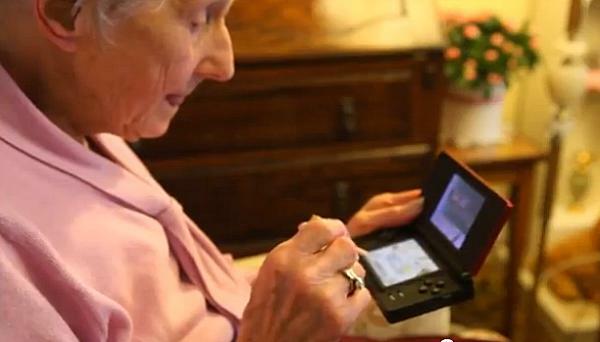 Other games she enjoys playing include Scrabble, My Word Coach, Art Academy and Family Fortunes. Last week researchers at the University of California claimed to have found a connection between activities that stimulate the brain and levels of a kind of protein that is believed to cause Alzheimer’s, a disease marked by dementia and memory loss. Of course, it’s not just playing brain games on hand-held devices that researchers believe will prevent the onset of the disease, though Kathleen Connell finds the Nintendo alone works for her.